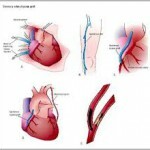 Coronary artery bypass surgery is done to provide “detours” around the partially or completely blocked arteries. With a new open “bypass system” the heart can now receive its much needed blood supply. Coronary artery bypass surgery is performed to provide relief of angina, to improve the pumping ability of the heart muscle, to prevent heart attacks, and to reduce the use of heart medications, all of which should improve a patient’s quality of life. The indications for surgery vary, depending on each patient’s symptoms and findings at the time of heart catheterization. Your surgeon and cardiologist will discuss the reasons for recommending surgery to you. 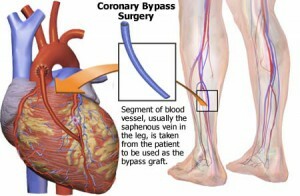 The concept of coronary artery bypass surgery is very simple. 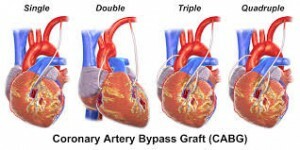 Healthy arteries or veins are “harvested” to create “bypass grafts” that channel the needed blood flow around the blocked portions of the coronary arteries. The new section of vessel can come from the mammary artery in your chest, the radial artery in your forearm, or the saphenous vein in your leg. The saphenous vein is commonly used for grafts. These veins are used by the surgeon as an alternate vessel to deliver blood to the heart muscle below the point of the blockage. 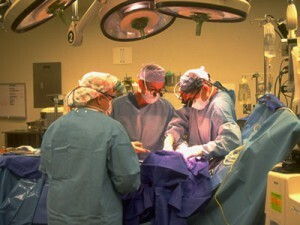 The surgery reroutes the blood flow to supply areas of the heart muscle not receiving enough blood. Decreased length of hospital stay. Most Advanced Operation Theatres / Robotic surgery suite – State of the art equipment and monitoring devices necessary to successfully perform complex heart bypass, percutaneous valve surgeries, complex hybrid aortic aneurysm interventions and minimally invasive cardiac operation.